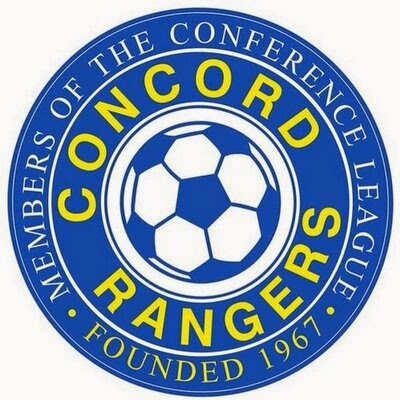 Just seven years ago Concord Rangers were members of the Essex Senior League at Step 5 of the Non-League ladder. On Saturday 24th November they welcomed Barking for a Gordon Brasted Memorial Trophy game which they won 6-0 in front of 76 people and on Tuesday 27th November they entertained Waltham Forest in an Essex Senior Cup game which they won 4-3 in front of just 48 people. Fast forward just seven years and the Essex club have been members of the Conference South Division for the last two seasons. Tonight they play the biggest game in their history when they welcome League Two Mansfield Town to Essex for their all important FA Cup First Qualfiying Replay which will be played in front of a crowd well in excess of a thousand people. GOOD LUCK TO OUR OLD RIVALS FROM THE ESSEX SENIOR AND RYMAN LEAGUE. THEY ARE A GREAT EXAMPLE TO ALL NON-LEAGUE CLUBS LOOKING TO MOVE UP THE PYRAMID.